Listed for Damp Locations. TO CLEAN: Use a clean, soft cloth to wipe your shade. If necessary, use a white cloth dampened with a mild solution of soapy water to gently wash the shade. Rinse thoroughly with a white cloth dipped in clean water. 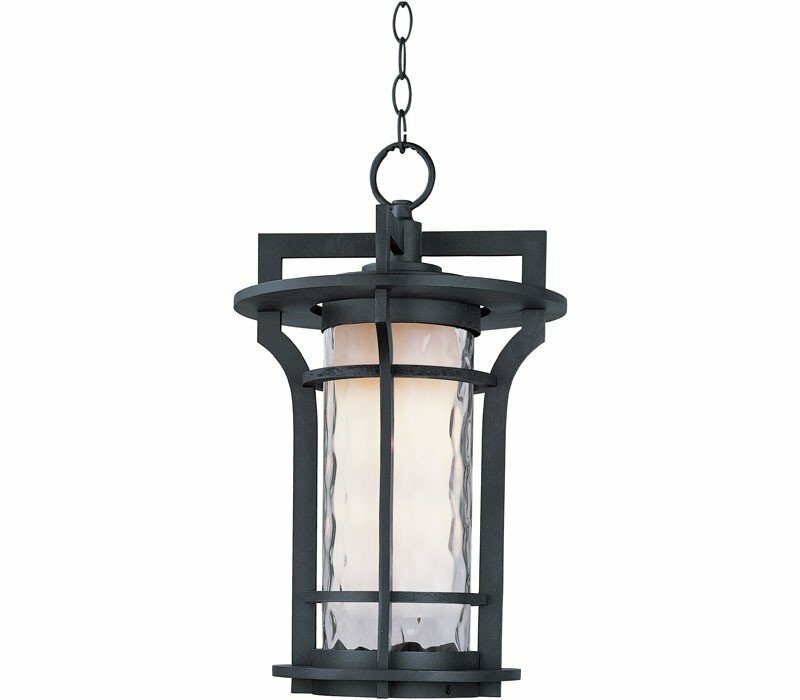 The Maxim 30488WGBO Oakville collection Outdoor Pendant Lighting in Black Oxide uses Incandescent light output and brings Decorative style. The total wattage is 100 and the voltage is 120 volts. 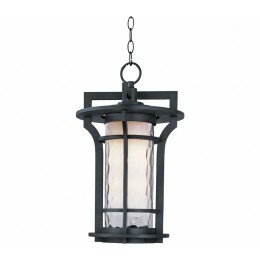 The Maxim Lighting 30488WGBO requires 1 bulb (not included). Additional Information: Shade-Water Glass.